Unlock Sony Ericsson Z320i. Unlock Z320i with Smart-Clip. Unlocking Sony Ericsson Z320i with Smart-Clip, a professional GSM device that can unlock SonyEricsson Z320i and a number of other Sony Ericsson phones. 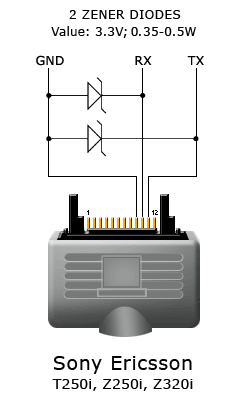 SE models require to be connected to PC COM port via original COM data cable or using any COM port emulator.